Instead, what if we could use the latest purification technologies, such as nanomembranes, and construct an innovation prize that would be awarded to the first inventor who could create a device for under $1.25 that could either filter or condense enough water per day for one person, without being dependent on any infrastructure, like an electrical grid? If we set the prize at a modest $50,000, all sorts of grassroots innovation might be inspired to produce such a device by 2015. 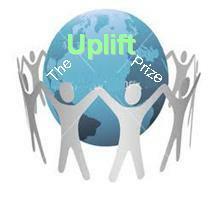 Get involved by supporting the Uplift Prize Indiegogo campaign here. The technology to print solid objects (much like an inkjet printer, except that thousands of layers are successively printed until a solid object is complete) is becoming reliable and affordable. Even more ambitious, there is a community of inventors that is working on producing a 3D-printer that prints copies of its own parts – a self-replicating printer. This initiative is known as the RepRap project, and has an open-source policy on technologies invented by members of the community. Many of these inventors pursue this as a hobby, and thus hesitate to spend a few hundred dollars that might advance the project. As an added bonus, the question of finding a suitable material for use in the personal manufacturing machine presents to opportunity to solve yet another pressing problem. Millions of tons of waste plastic currently reside in landfills, or are floating in the oceans. Some of these plastics (such as HDPE and polypropylene) are produced in volumes exceeding 30 million tons a year, and ultimately find their way into waste. But remarkably, they can be recycled into a suitable material for 3D Printing, addressing a major ecological problem. Thus, a second innovation prize will be awarded to the innovator who can produce a self-replicating 3D-printer, and make use of a printing material that is below a certain cost threshold, by 2015. The prize seeks to encourage collaboration and sharing between various participants in the RepRap project. The prize of up to $100,000 will consist of an Interim prize of $20,000 awarded at the end of 2012 (later revised to mid-2013), and a Grand prize of up to $80,000 awarded at the end of 2015. I intend to demonstrate that an ordinary person like myself who is not even quitting my day job, can partner with a small organization like Humanity+, seek expert input, and construct a carefully considered prize that channels grassroots innovation that is already being done, towards the focused goal of uplifting 1 billion people out of poverty by 2020, all for a very tiny sum of $1,000,000. As we have no employees, offices, or expense accounts, about 95% of your donation goes directly to the prize balance, in contrast to many traditional charities where only 30-60% of any donation reaches the final destination. If you are familiar with the X Prize, then what if there were a prize organization dedicated to poverty reduction through the diffusion of advanced technologies? Started in 2009, the Uplift Prize is a non-profit innovation prize that addresses the seemingly intractable challenge of elevating the last two billion people still earning less than $2/day, by channeling the most advanced technologies to these underserved people. The Uplift Prize is built to trigger a multi-layer disruption of existing aid practices, and is one of the very earliest humanitarian campaigns to make use of 3D Printing. Reducing Poverty Through Personal Manufacturing – Stanford Social Innovation Review, 10/11/2011. 1) Effectively providing tools and capabilities, rather than handouts, to generate more permanent and self-propagating human development. 2) The concept of incentive prizes to inspire superlative effort from innovators. 3) A charity with almost no overhead, ensuring that 100% of donated funds (net of Indiegogo fees) reach the intended goal, as opposed to 40-60% with most traditional charities. 4) Bypassing corruption within poor nations, through use of self-propagating technologies that cannot be diverted into graft. This particularly helps women participate in manufacturing and start women-owned businesses. 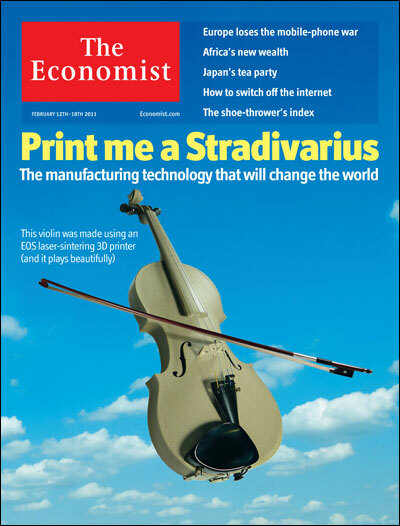 5) 3D Printing; in fact, self-replicating 3D printers – the new frontier in personal manufacturing. 6) Recycling the 30 million tons of waste plastic that is generated per year, and currently resides in landfills and the oceans. This plastic can become a low-cost source of 3D Printing raw material. 7) Possibly achieving over 1000x the impact per dollar of traditional handout-based humanitarian aid programs (see FAQs for details on this estimation). We awarded our inaugural prize of $20,000 in 2013, and the time has now arrived for our larger 12/31/2015 prize in self-replicating (RepRap) 3D Printing. Join me in this endeavor to prove that with the right vision and incentives, a great deal can be accomplished in an entirely grassroots effort when the incentives are structured properly for the right set of future technologies. The Uplift Prize will bring this vision closer to reality, and inspire other innovation prizes designed for a high-multiplier effect and low overhead. Here are the Prize Specifications for the Grand Personal Manufacturing Prize, carefully constructed to divert innovation for maximum poverty alleviation, while enabling small teams or even individuals to create competitive entries. The open-source nature of RepRap 3D Printing ensures the rapid diffusion of grassroots innovation. The key to the prize is that the guidelines have to be challenging enough to create a technological outcome that would not have otherwise happened without this incentive, but not so unattainable that no contestants submit entries. This needle is more difficult to thread than it may appear, especially given the open-source nature of the RepRap community. Fortunately, the Interim Personal Manufacturing Prize awarded on 6/30/2013 has enabled us to refine these practices and demonstrate successful execution of such a prize. See here for more about how the winner, Quentin Harley, used the prize funds to further his innovation in 3D Printing. See the gallery for more videos about self-replicating 3D Printing. 2009 : Inception of the roadmap of prizes and selection of candidate technologies, with self-replicating 3D Printing and Water Purification chosen as areas of focus. 2010 : Official kickoff, incubation by Humanity+. 2011 : Name change from ‘K Prize’ to ‘Uplift Prize’. June 2013 : First prize awarded, the Interim Personal Manufacturing Prize ($20,000), to Quentin Harley. Sept-Oct 2015 : Indiegogo fundraising campaign for Grand Personal Manufacturing Prize (up to $80,000). Nov-Dec 2015 : Submission and Judging of entries. Dec 31, 2015 : Anticipated announcement of winner and prize award. We envision this prize to be the second of a series of three prizes around personal manufacturing. The post The Uplift Prize — Uplifting 1 Billion People by 2020 appeared first on h+ Media.